The Municipality of Serres is a Local Self Government Organization of first degree, which is responsible for providing first order administration in the area. It is a fully competent and developed organization, which has been offering its services to the citizens since 1913 and according to its Internal Operating Regulation consists of one (1) General Division, seven (7) specialized Divisions and three (3) independent Departments. The Municipality’s tasks are also supported by several municipal Legal Entities under private and public law. Concerning the total municipal staff, it amounts to 344 employees. Petrich Municipality is located in Southwestern Bulgaria and one of the largest municipalities and is one of the largest municipalities in Blagoevgrad region. Its population is 55,000 and has 55 settlements that are included in its structure. The municipality of Petrich occupies a strategic geographical position on the border between three countries – Bulgaria, Greece and Macedonia.In the municipality there are three sites of national importance, which determine the development of cultural and historical tourism in the region. These are the “Antique City of Heraclea Sintica”, the Samuil Fortress and the Vanga House Museum.Mayor of Petrich Municipality from 2015. until now is Dimitar Bruchkov. He and his team prepared the project proposal with which we participate in our joint project. The project manager is d.eng. Katya Stoyanova. The Aristotle University of Thessaloniki is the largest university in Greece. The main campus is located in the centre of the city of Thessaloniki, and covers an area of about 33.4 hectares. It comprises 10 faculties which consist of 40 schools and 1 single-School Faculty. About 73.930 students study at the Aristotle University (65.026 in undergraduate programmes and 8.472 in postgraduate programmes, of which 3952 at Doctoral level). The Transport Systems Research Group was established in the 90’s. Since then it has functioned within the Division of Transport Planning and Engineering, Project Management and Regional Planning of AUTh’s Department of Civil Engineering. The scientific activities of the Group fall under the areas of operation, planning and management as well as the impact of Transport Systems of people and goods through different modes (road, sea, rail, air). TSRG carries out both funded (from public and private organisations) and non-funded research. The Group combines field knowledge with established collaborations in every project that it undertakes, utilises existing expertise within AUTh and cooperates with external consultants and researchers. The existing facilities are continuously upgraded in order to keep up with the demands of research and development. FLIPPER: Flexible Transport Services and ICT Platform for Eco-Mobility in urban and rural Europe (Funded by EU- INTER­REG IVC). 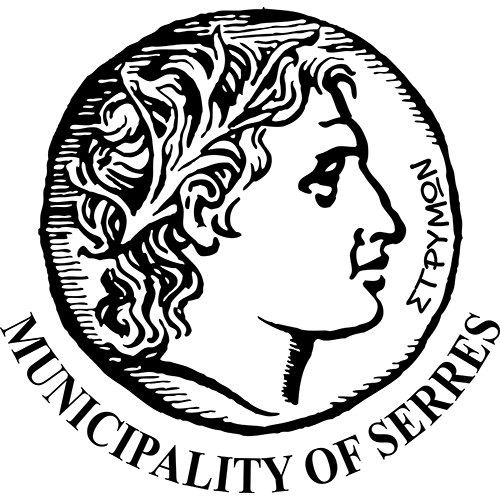 ACTUS: Accessibility network for Turk­ish and Greek Societies (Part-funded by: CFCU-EU). SUPORTS: Sustainable management for European local Ports (Funded by: EU- IN­TERREG IVC). PROSPELASIS: Accessible Monuments and Archaeological Sites of Thessaloniki (Funded by: EEA Financial Mechanism- Hellenic Government). SUNRISE (Cohesion sociale dans les zones urbaines/rurales basee sur services collec­tifs de mobilite innovateurs et durables) (Concerning the creation of accessible DRT service for people with disabilities) (Funded by EU-INTERREG IVC). Investigation of the environmental as­pects applied by the certification of Th.P.A., according to PERS, aiming to the sustainable development of the Port of Thessaloniki. (Funded by: Thessaloniki Port Authority). 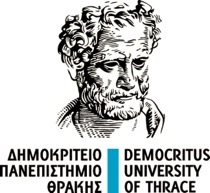 Democritus University of Thrace (DUTH) was founded in July 1973 and its facilities cover the geographical area of ​​Thrace (NE part of Greece). There are 8 Schools and 18 Departments and many postgraduate programs with a student population of about 29,000 at all levels, and research and academic staff of over 700 people. The Department of Environmental Engineering started operating in the academic year 1995-96 and was the first Department of Environmental Engineering to operate in Greece. It consists of 8 Laboratories. The Laboratory of Environmental and Energy Design of Buildings and Settlements aims at the specialization of engineers in subjects of environmental design and renewable energy sources (RES) applications in buildings and settlements and on issues of sustainable design. The laboratory is supported by specialized software (e.g. TAS-EDSL, Design Builder, Energy Plus, ANSYS, ENVI-met), energy and thermal measurement equipment (e.g. thermometers, anemometers, thermal cameras, exhaust gas analyzers), an energy autonomous test cell with PV and a small power wind turbine (ZED-KIM), PV array with sun monitoring system. The members of the Lab have extensive know-how in the field of environmental and energy design of buildings, energy measurements and audits, energy simulations, environmentally friendly structures and bioclimatic design of outdoor spaces. They have been actively involved in the transposition of the EPBDirective into the national legislation and have participated in the Scientific Committees for the Development of the Technical Guides to support the “Building Energy Efficiency Regulation (KENAK)”, the revision of the KENAK and the recast of the EPBD in Cyprus for the definition of the nearly zero-energy residence buildings. The academic staff of the Lab participates as coordinator (“Towards Zero Energy Hospitals in the Balkan Region (ZenH) (Interreg-Med Balkan), AIRinSTRUCT (FP5)”), as a Scientific Responsible (Culture Dipole in the Interreg Greece-Bulgaria programme, SSHORT, PRECis, EUBART in FP5 ) and as a researcher in numerous European and national programs. The staff of the Laboratory is Associate Professor A. Dimoudi (Laboratory Director) and Assistant Professor S. Zoras. Lab’s research work is supported by postgraduate students, doctoral candidates and postdoctoral researchers. 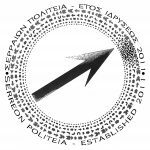 The Union of Serreon Politia was established in February 2011. The localization, recording, meditation, preservation and promotion of cultural goods related to history, culture, archeology and contemporary artistic production of the inhabitants of the city, the prefecture of Serres, the country and the world. The creation of suitable spaces for the preservation and promotion of the cultural goods necessary for the fulfillment of the objectives, primarily in a single place in the prefecture of Serres, in the form of a cultural park. The establishment of a Museum under the name “Constantin Xenakis”, which will house much of the work of the great art artist of the diaspora, Constantin Xenakis. The Society for the Study and Research of the History of Serres (EMEIS) has been active in the city of Serres since 1994. The aim of the Society is the scientific research on every issue concerning Serres, their region, the population of Serres and in particular the collection, preservation, recording, study and publication of historical, theological, literary, legal, archaeological, folklore and artistic material. The Society for the Study and Research of the History of Serres organizes lectures, workshops, scholarships and publishes a special scientific journal (Serraika Symmicta), with studies related to the city and the Prefecture of Serres.